Mexican striker Raul Jimenez was able to add on to Benfica’s 3-1 victory over Braga on Saturday morning with a great goal in the last minutes of the match. 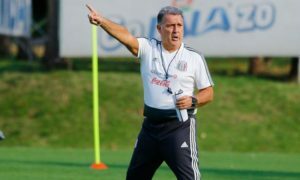 Aside from teammate Carlos Salcedo, injured Eintracht Frankfurt and Mexican teammate Marco Fabian also tweeted out his praise for the goal, stating he hoped to see more of this during the World Cup in June. 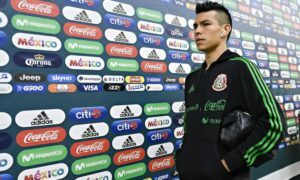 It has been a roller coaster of a journey for Jimenez in Europe, with many worried his lack of playing time and goals will translate over to the national team. For now, this goal will him confidence and hopefully continue until he reports to Russia. Much like Jimenez’s situation, Javier ‘Chicharito’ Hernandez’s highly anticipated move to England with West Ham United was praised at the beginning. After being in the Bundesliga, returning to a highly competitive league just before the start of the season was sure to be a positive impact on the striker’s career. Unfortunately, it has not turned out that way. With managerial issues arising early in the season and the arrival of David Moyes, Chicharito seems like a fish out of water on the team. He received no playing time this past weekend in the match against Huddersfield despite starting players being injured. It seems his only option will be to leave the club and soon if he wants to get in a good playing record before heading to Russia. 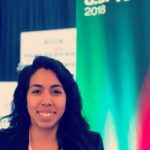 Mexican defender Carlos Salcedo is one of the only Mexicans Abroad who is consistently getting minutes. He played the full 90 minutes for Eintracht Frankfurt against SC Freiburg that ended in a 1-1 draw. He has been called up consistently for the national team and seems to be in the talks of making a permanent deal with Eintracht which would be a positive for him. European club with consistent playing time just before the World Cup would be exactly what he needs. The roller coaster season for our Mexicans Abroad continues with the players at Porto FC. As of right now, however, things seem to be on the positive side. During their match against Moreirense this past Thursday, both Miguel Layun and Hector Herrera were able to score to secure the 2-1 victory. Though Monday’s match against Estoril Praia was suspended due to structural issues in the stadium, Layun, Herrera and Diego Reyes were part of the starting XI. 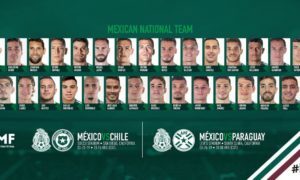 The momentum must continue for PorTRI, given the lack of depth on the Mexican squad and how important each of these players will be for the starting XI for the World Cup. No other player will be as important and instrumental to the focus of the team the way that Andres Guardado will be to the Mexico in Russia. He has also proven to be a driving factor at Real Betis. After coming back from an injury, he helped shape the Sevilla Derby that saw Real Betis take the 5-3 victory. He played the full 90 minutes against Leganes that ended in Real Betis claiming the three points in the 3-2 win. The lead up to Real Betis’ match against Barcelona on Sunday has been a good one and will be a great test for Guardado following his injury.